KRAKOW TOURS: Unlike in some parts of the world, where the mutant chocolate offspring of a chicken and a bunny is considered the most appropriate way to celebrate Christianity’s greatest feast, a Polish Easter combines tradition and fun with a great deal of colour and respect. Holy Week starts on Palm Sunday, and due to a natural shortage of tropical foliage in Southern Poland, other more indigenous plants are bent into service to commemorate Jesus’ entry into Jerusalem seated on a donkey. Typically made from dried flowers and branches in villages throughout Poland, these ‘palms’ can be bought in the Main Market Square, blessed in one of Krakow’s many churches and used as colourful home decorations during Holy Week. Throughout this week the Main Square hosts an Easter Fair where traditional gifts and seasonal food can also be bought. The ‘Misteria Paschalia’ early and sacred music festival runs concurrently, and enjoys an international reputation. Easter is also when the events season really begins to get under way. via Celebrate Easter – Krakow style! – My Destination Krakow. KRAKOW TOURS: Menachem Bodner last saw his twin brother at age 4, when he was liberated from the infamous Auschwitz laboratory of Dr. Josef Mengele. Now, armed with proof that his brother also survived, he’s watching his search go viral online. It’s most likely that Menachem Bodner last saw his identical twin in 1945, in Dr. Josef Mengele’s gruesome Auschwitz laboratory. He was 4 then and doesn’t remember his time in the notorious death camp. But in the 68 years that have followed, Bodner says he’s “always” been certain he was one of a pair. He just didn’t have any proof until this past year. Now, he’s searching for Jeno, a man who probably looks just like him, and who has a distinctive “A-7734” tattoo on his forearm. And 1 million Facebook users are helping him look. Mengele, known among prisoners as “the Angel of Death,” was deeply fascinated with twins and used them for research experiments in his macabre Auschwitz lab. Thankfully, Bodner, now 72, has no recollection of the cruelty he most certainly endured while undergoing experiments, though he can remember a sense of paralyzing fear. Unfortunately he also has few impressions of his family’s prewar life in a small town east of Munkacs, Hungary, which is now in the Ukraine. But despite the lack of memories from a war-marred childhood, Bodner says that throughout his life he’s felt a deep connection with his twin—and is positive he’s still alive and out there. But where? via An Auschwitz Survivor Searches for His Twin on Facebook – The Daily Beast. Exactly 70 years ago, Hollywood’s top stars got together to expose the Holocaust. It was early 1943, and Hitler’s armies were finally in retreat from North Africa and the Soviet Union. D-Day was more than a year away, and the Nazis had murdered almost three million Jews. Since the start of the war, eyewitness accounts of mass shootings and death camps had made their way to governments around the world. “Rescue through victory” remained the official Allied strategy, and the killings receiving little attention. As the genocide reached its apex, Hollywood decided to take action. A seasoned journalist and screenwriter, Ben Hecht was the first celebrity to publicize the Holocaust. Hecht’s February 1943 essay, “The Extermination of the Jews,” rang warning bells even as the US State Department buried reports of genocide. Not content with writing op-eds, Hecht decided to do what he did best — put on a sweeping drama. An Oscar-winning screenwriter who contributed to “Gone With the Wind” and scripted “Scarface,” Hecht knew how to stir emotions and frame an epic story. 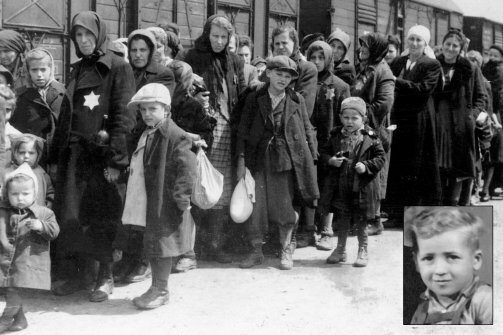 via The first time Hollywood exposed the Holocaust | The Times of Israel. A little girl in a red coat becomes the catalyst which saves the lives of more than 1,000 Jews destined for the concentration camps in Steven Spielberg’s celebrated film Schindlers List. But for the now 24-year-old woman who played the role in 1993, the iconic appearance left her traumatised for years.Oliwia Dabrowska was three years old when she starred as the girl in the red coat – the only flash of colour in the otherwise black-and-white film. via Schindlers List: Trauma of girl in the red coat who became holocaust icon | Mail Online. KRAKOW TOURS: Deep underground in Poland lies something remarkable but little known outside Eastern Europe. For centuries, miners have extracted salt there, but left behind things quite startling and unique. Take a look at the most unusual salt mine in the world. via Wieliczka Salt Mine – An Astounding Subterranean Salt Cathedral ~ Kuriositas.